Some clouds this evening will give way to mainly clear skies overnight. Low 39F. Winds NNW at 10 to 20 mph..
Michael “Mike” John Roy McMahan, 64 years, formerly of Fremont died Tuesday, April 2, 2019, at Parkview Home in Dodge. Michael was born April 5, 1954, in Fremont to Calvin John and Lois (Stoltenberg) McMahan. He grew up in Fremont until he was 11 years old, resided in Beatrice until he was 18 years old and then moved back to Fremont with ENCOR. He moved to Birchwood Manor in North Bend in 2015. 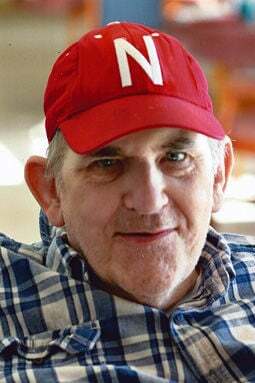 He enjoyed bowling for Special Olympics, swimming, and had an affinity for trains, horses and dogs. He is survived by his sister, Johanna McMahan of Fremont; half sister, Kris (Kenny Ringle) Larson of Fremont; aunt, Charlotte Branzovsky of Fremont; and nephew, Jesse Kuncl of Fremont. He was preceded in death by his parents; and brother, Karl Jon Heidemann. The memorial service will be 2 p.m. Monday, April 8, at Moser Memorial Chapel in Fremont. The Rev. Scott Jensen will officiate. Interment will be in Memorial Cemetery in Fremont. Memorials may be directed to Shop With A Cop in Fremont or Fremont Special Olympics.